GSTC-Accredited means that a Certification Body (CB) awards certification according to processes that comply with international standards and good practices. Businesses certified by a GSTC-Accredited CB can use the GSTC Chain of Custody logo (CoC) along with the CB’s mark. The Certification Bodies that have been Accredited for compliance with the requirements of the Manual for GSTC Accreditation. GSTC-Accredited means that the certification procedures largely meet international standards for transparency, impartiality, and competence. Control Union Certifications offers a global one-stop-shop for a wide range of certification programmes. We understand the importance of impartiality and objectivity, and how to professionally manage conflicts of interest. From the beginning, sustainability has been the main focus of our certification services. Control Union Certifications presents a wide range of programmes in agriculture, food, feed, forest products, textiles and bio energy. In 2016, Control Union Certifications became the first Accredited CAB for the GSTC Criteria for Hotels and Tour Operators, which provides the highest level in terms of credibility within the GSTC Integrity program. This means that Control Union Certifications can certify hotels and tour operators directly against the GSTC Criteria. 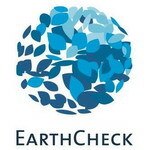 EarthCheck is a leading scientific benchmarking, certification and advisory group for travel and tourism. Since 1987, we have helped businesses, communities and governments to deliver clean, safe, prosperous and healthy destinations for travellers to visit, live, work and play. The EarthCheck program is built on Agenda 21 principles and is currently used in more than 70 countries across the globe in six languages. EarthCheck patented software and systems have set a benchmark for sustainability reporting for the travel and tourism industry. Ecotourism Australia is a not for profit organisation that is focused on inspiring environmentally sustainable and culturally responsible tourism. Ecotourism Australia was formed in 1991 and is the peak industry body for ecotourism in Australia, managing four certification programs for tourism operators. Their primary product development tool, ECO certification, is a world recognised program with a UNESCO World Heritage Centre MOU and is Approved by the Global Sustainable Tourism Council. They work with and represent Ecotourism operators, Protected Area Managers, State and Regional Tourism Organisations, Government agencies and other stakeholders. Vireo Srl is a certification company whose commercial activities consist of providing Italian and foreign companies with environmental certification services. Vireo provides worldwide recognized environmental certification schemes such as FSC, MSC, and GSTC – as a GSTC-Accredited certification body. The professional approach and deep knowledge of standards are the key elements that mark Viero’s services. Based in Padova, Italy, Vireo has international experience and works with professional and highly qualified auditors. The Certification Bodies listed here have been accredited by GSTC to certify tour operators. As such, these certifying bodies and their certificate-holders are authorized to display the designated GSTC Logo (upon completion of a licensing agreement with the GSTC). Control Union Certifications offers a global one-stop-shop for a wide range of certification programmes. We understand the importance of impartiality and objectivity, and how to professionally manage conflicts of interest. From the beginning, sustainability has been the main focus of our certification services. Control Union Certifications presents a wide range of programmes in agriculture, food, feed, forest products, textiles and bio energy. In 2016, Control Union Certifications became the first Accredited CAB for the GSTC Criteria for Hotels and Tour Operators, which provides the highest level in terms of credibility within the GSTC Integrity program. Travelife for Tour operators is a leading global sustainability scheme for the tour operator sector with more than 500 members from 80 countries across all continents. Travelife provides an integrated set of trainings, best practices, implementation, suppliers and certification tools specifically designed for tour operators and accessible through its state of the art IT system. The Travelife certification standard follows the management logic of a travel company and is in compliance with ISO 14001, OECD, The Global Reporting Initiative, ISO 26000 and the GSTC Industry criteria. Green Destinations (GD) is a non-profit organisation of experts and destination ambassadors working in 80 countries. GD supports a large community of local, regional and country destination managers and stakeholders, enhancing destination sustainability, market visibility, and tourism quality. The GD Certification Committee supervises certification and benchmark awards (Bronze, Silver, Gold, Platinum) based upon the GSTC- Recognized GD Standard, and other (e.g. national) standards. GD offers destinations and countries with state-of-the-art tools for baseline assessment, monitoring, reporting and strategic development, also in relation to the UN Sustainable Development Goals. Certification by a certifying body whose standard is “GSTC-Recognized” does NOT constitute being Certified by GSTC. “GSTC Recognized” relates to a published set of standards and NOT to the process of certification. Click here to learn more about GSTC-Recognized and to view lists of standards that are Recognized by the GSTC as aligned with the GSTC Criteria. The above standards have been Accredited or Approved as in compliance with the requirements of the Manuals for GSTC Accreditation or Approval. The Accredited and Approved marks mean that the certification procedures largely meet international standards for transparency, impartiality, and competence.